The benefits to having a backyard swimming pool are endless; instant cool down in the hot summer months, year-round outdoor entertaining backdrop, added value to your home and access to an array of health benefits. Swimming pools do however come with their drawbacks including maintenance and running costs. 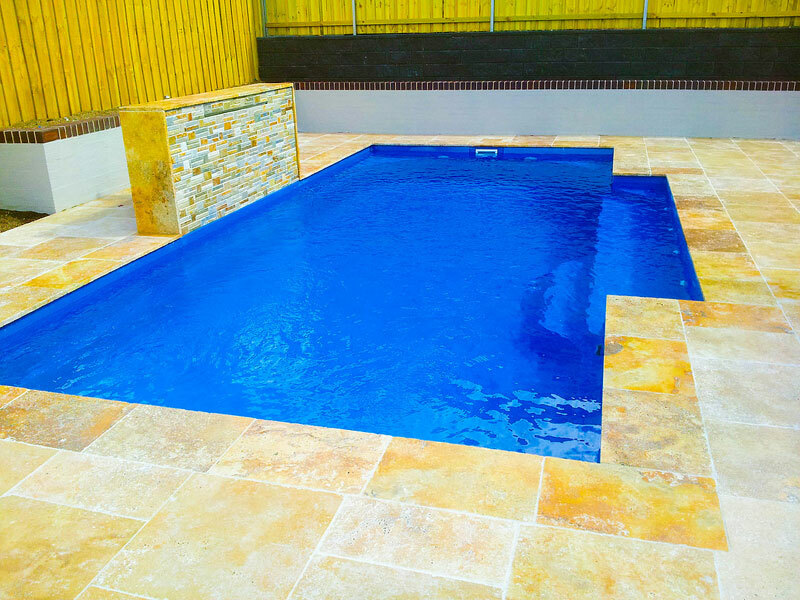 In order to keep your swimming pool sparkling clean all year round, Blue Haven Pools has compiled their five top tips for maintaining a low maintenance swimming pool. Keep the swimming pool free of leaves and debris. The best way to do this is to ensure the right vegetation and landscaping is planted around the swimming pool. As many pool owners will attest, palm trees look great and create a tropical look for your pool, however they can cause havoc in the water with fallen leaves, palm branches and seeds. Regular skimming of the surface won’t take long and will ensure that any fallen leaves don’t linger in the water causing pH levels to change and algae to form. Keep your filter in tip-top shape. Your swimming pool’s filter is like it’s main engine, and ensures the water in your pool remains crystal clear. Remember to backwash your filter often and clean it for any chemical buildup. Vacuum. Just like the floors of your home need regular vacuuming to keep them free of dust, dirt and germs, so too does your swimming pool. Install either an automatic creepy crawly version or vacuum weekly with the hand held variety. Regular brushing of the sides ensures there is no build up of algae. Know your pool’s pH. Regularly check the swimming pools pH and chemical levels either by using a home testing kit or by taking a sample down to your nearest swimming pool shop. Keeping the chemicals at an optimum balance will keep your swimming pool water crystal clear and germ free. Check the water level. A number of factors can affect the water level of your swimming pool, which will in turn influence the chemical and pH levels. Active swimming or hot weather can cause the water levels to reduce while heavy rain will cause the water levels to rise. This throws your pools chemical balance out so it’s important to either top up or drain the water levels and do a pH and chemical balance check to bring it back to the optimum amount to ensure your swimming pool stays crystal clear.